Learn How To Write GoldMine SQL Queries | First Direct Corp. The SQL Query Tab (accessed via Tools >> SQL Query) in GoldMine Premium Edition allows the user to write SQL Statements to display information contained in your GoldMine databases. SQL queries can display lists of contact related information regardless of where the information is contained. Filters and Groups are great but there are times when a SQL Query is better or the only way. Learn how to write SQL Queries for your GoldMine database. 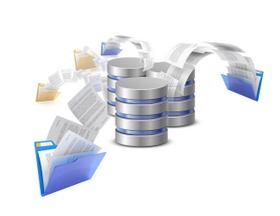 Understanding the GoldMine database table structure.We will review the Contact1, Contact2, Cal (Pending/Calendar), ContHist (History), ContSupp (Details/Email Addresses) table structures in GoldMine and how data is stored in these tables and how these tables are related to one another. One must first understand the database table structure and the relationships of the database tables to one another in the database before being able to create/write any SQL queries. Intro to SQL Statements. We will review the SQL select statement and how you can generate lists of contacts and contact related information from the database. Examples will be provided. Note: After registering you'll be redirected to our estore where you can place your order.